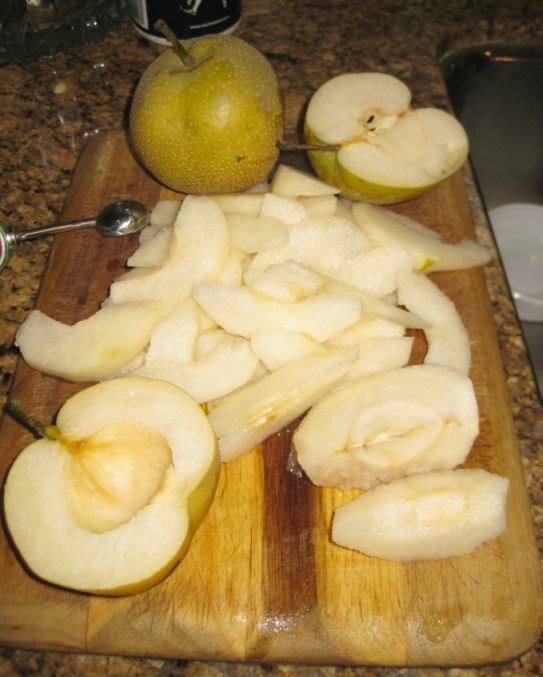 My friends gave me a bunch of pears from her garden. 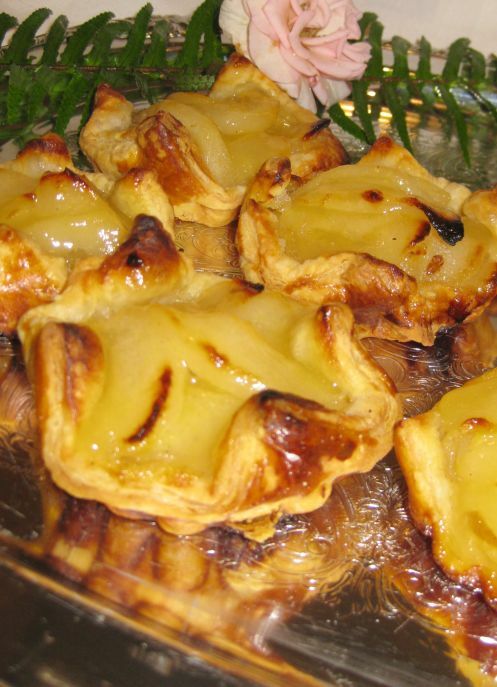 They are so sweet and so juicy but here is the problem... 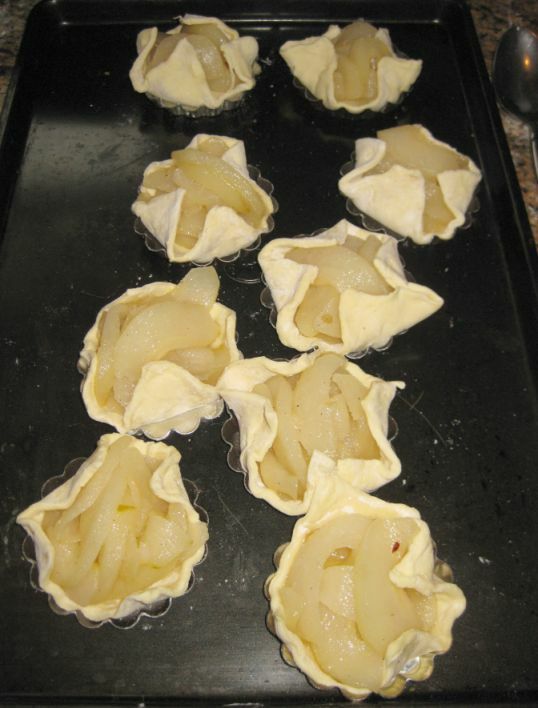 There are just too many for me to eat so I decided to make some Pear tartlets and to bring them to a dinner party. 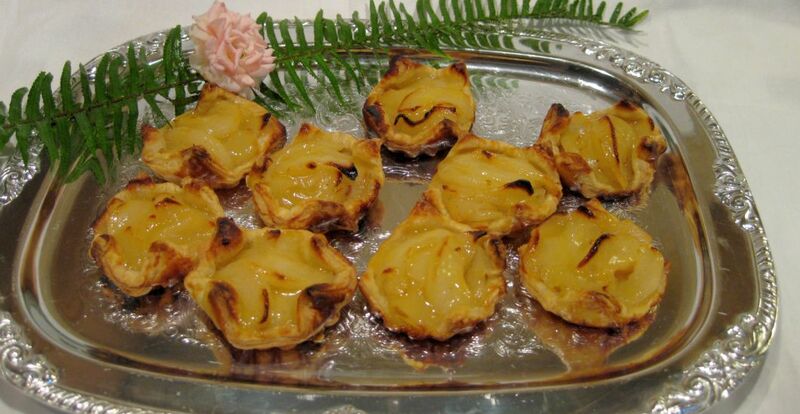 These tartlets are so good that they always disappeared in a flash! 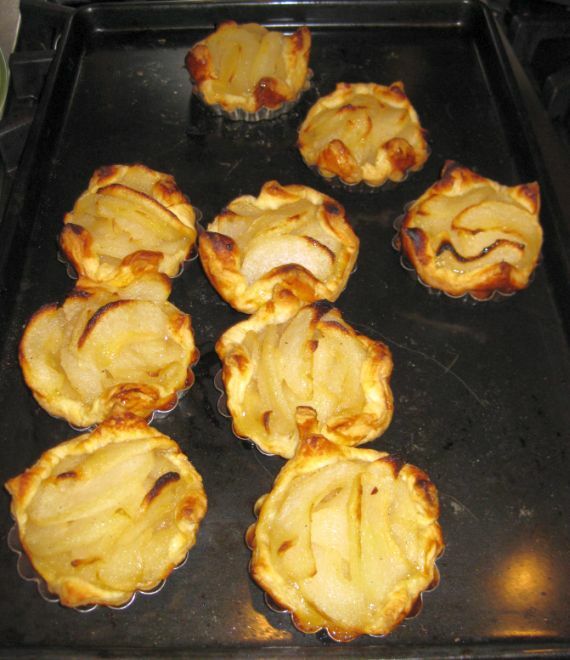 This recipe also works with Apples. Apples are usually more popular then pears but choose whatever fruits you like. 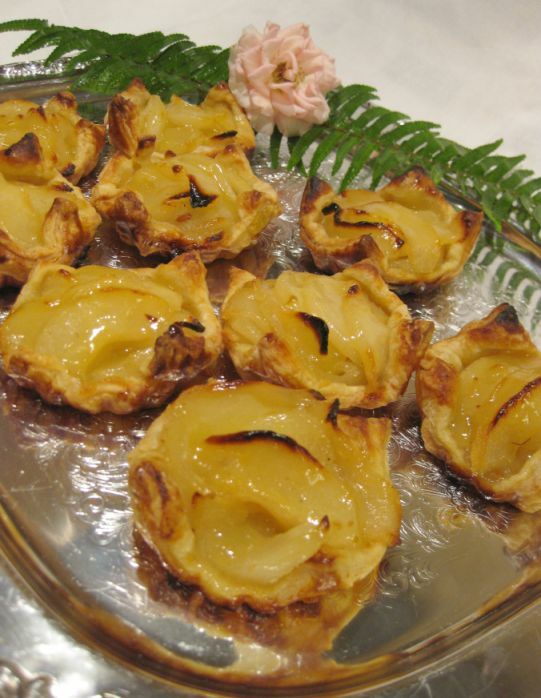 These pear tartlets are also delicious with a doll up of whipped cream or a scoop of vanilla ice cream. 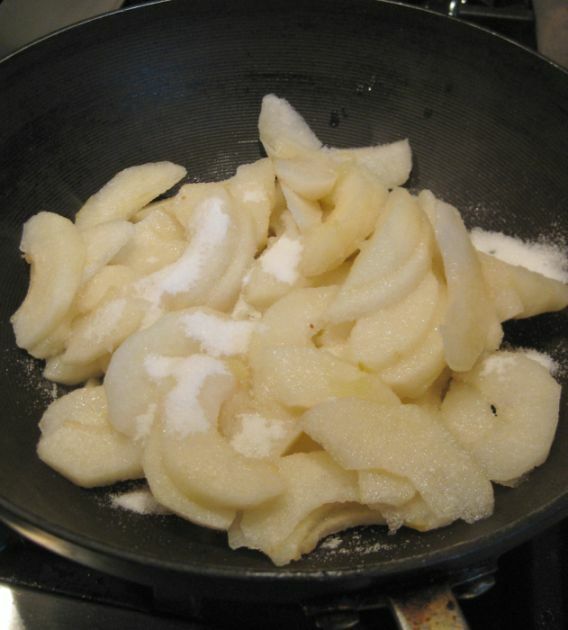 In a large pan, combine the pears, sugar, butter, salt, lemon juice. 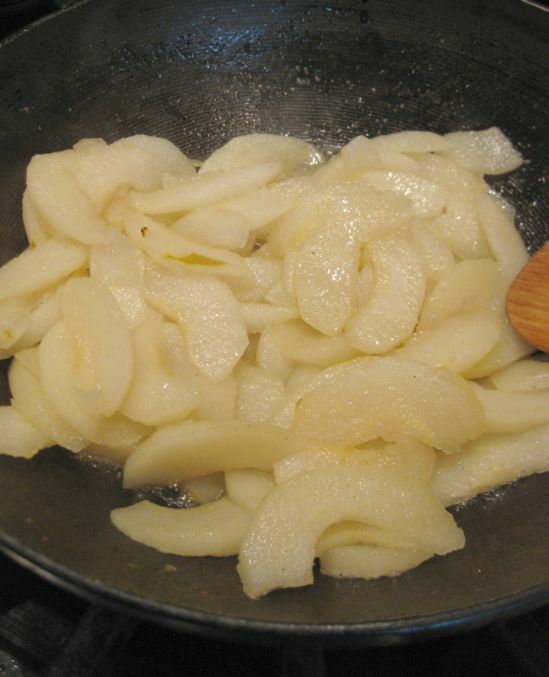 Over medium heat cook the Pears. Stirring often. 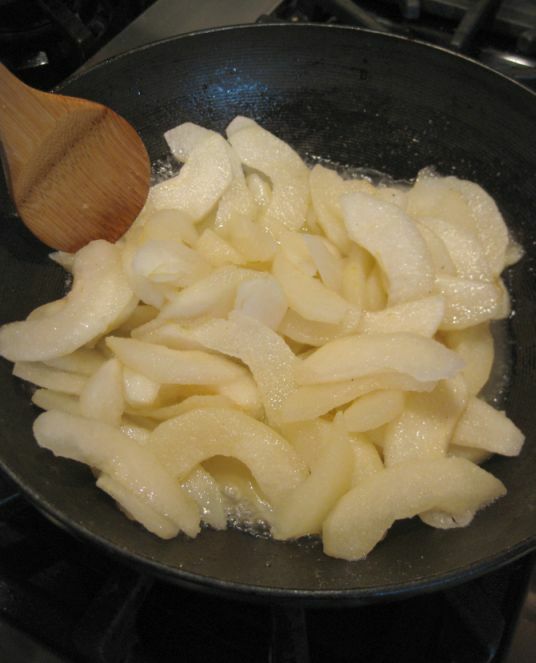 Keep cooking until the pears are soft, about 10 minutes. Set aside. 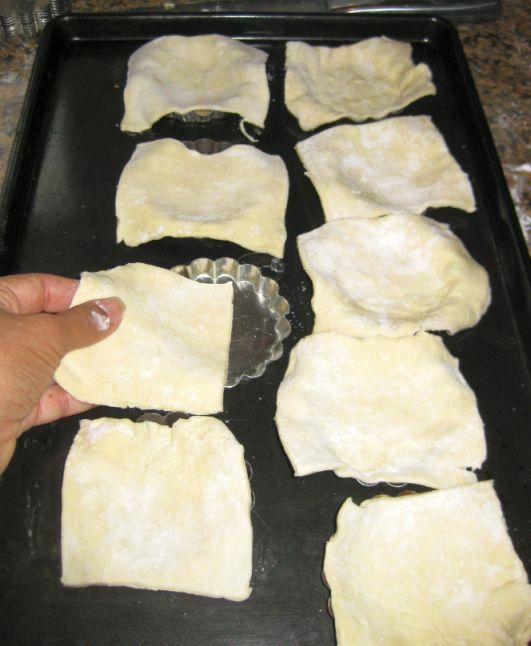 Roll out the puff pastry and cut the pastry in 3rd, length-wise and then cut again into 3rd for a total of 9 squares. 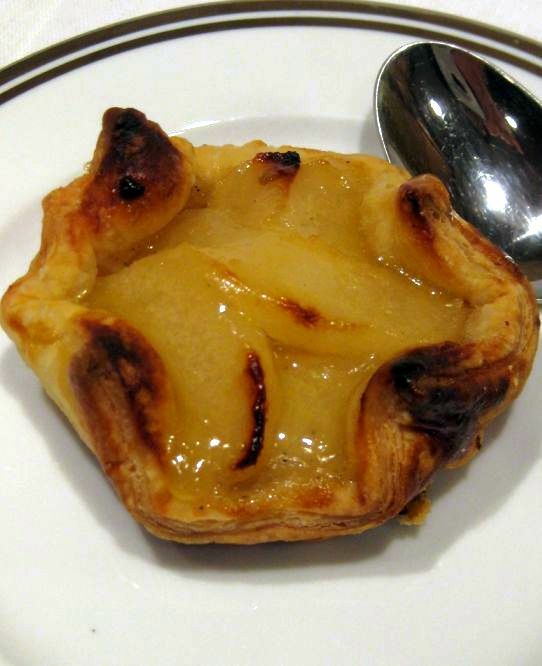 Put the pastry inside a tart mold. 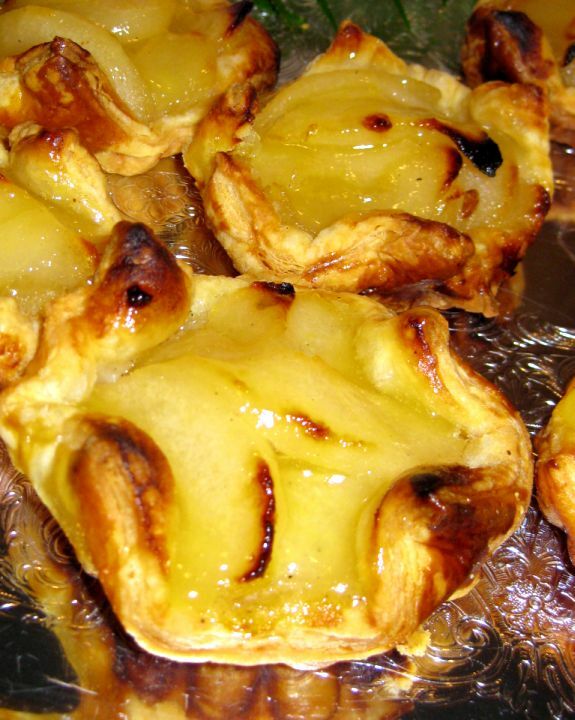 Scoop the pears inside the pastry. 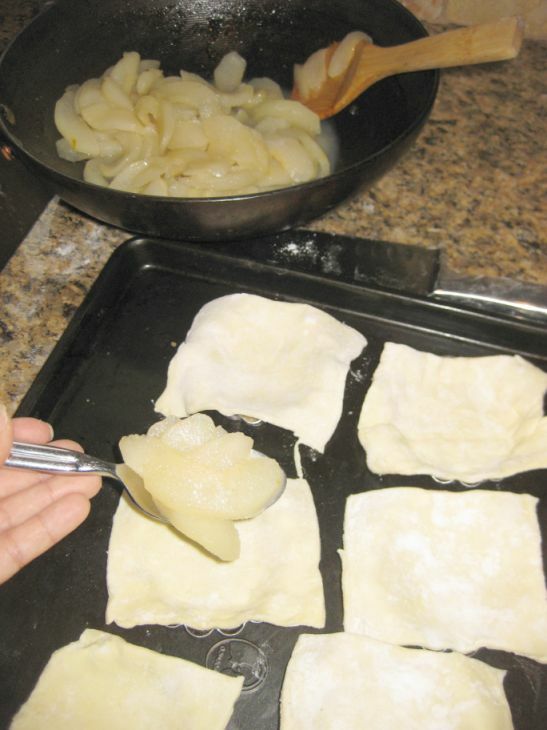 Fold the 4 corners, covering the pears. 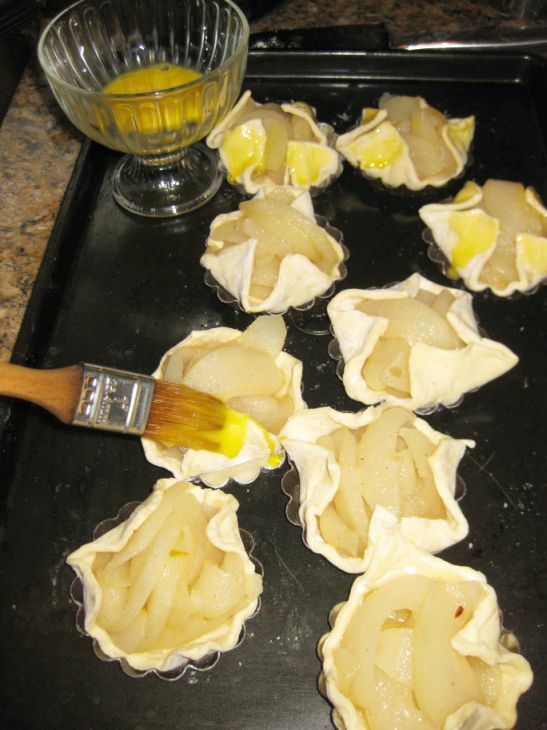 Beat the egg yolk and brush it on the pastry. Preheat the oven at 375 degrees.